Mixing religion with any theme is always controversial. From football to politics (the latter, then, we do not even talk), linking any topic to religious issues causes disagreements, creating an authentic ideological battle. Music, curiously, in the present times, is an exception, in an environment where religion can transit without major conflicts. Jazz and blues have drank heavily from the gospel source at the time they were created, and flips and tosses artists with sophisticated sounds and lots of spiritual references. Jordan Pettay is one of them. The young saxophonist and songwriter, who graduated from the Julliard School, was inspired by her adolescence in Charlie Parker’s jazz and Duke Ellington, mixed with gospel music, quite present in Texas, where she grew up. Led by great musicians such as Ron Blake and Steve Wilson, Jordan pioneered the jazz world and released this year “First fruit” (Outside in music), the first record of his career. As it could not be, the work is full of gospel influences and soul music, as well as reinvent traditional hymns and showcase works of authorship. Jordan leads the group, alternating between the alto saxophone and soprano, and is accompanied by Christian Sands (who was once the column’s theme) on the piano, Luke Sellick on bass, Jimmy Macbride on drums, and Joe McDonough on the trombone (tracks 1 and 4) and Mat Jodrell on trumpet (tracks 1 and 4). On the disc, Jordan shows his refined musicality and recreates interesting versions, as in “Straight street”, composed in 1957 by the master John Coltrane, maintaining the original complexity, but with certain doses of innovations, in an assertive rhythmic beat. “You make me feel brand new” is another in which Jordan recreates, with all its versatility, guided by the keyboards of Sands and the evolution of the battery of MacBride. “I am thine the lord” and “I exalt thee” explore the gospel line, in a lovely and calm harmony, which sounds like a “meditation”. The opening track “Whatever Happens” won my preference, with a great Jodrell trumpet and all the bandwidth of the band. Also worth mentioning is “I Surrender All”, with touching riffs from Sands and sharp solos of the protagonist. 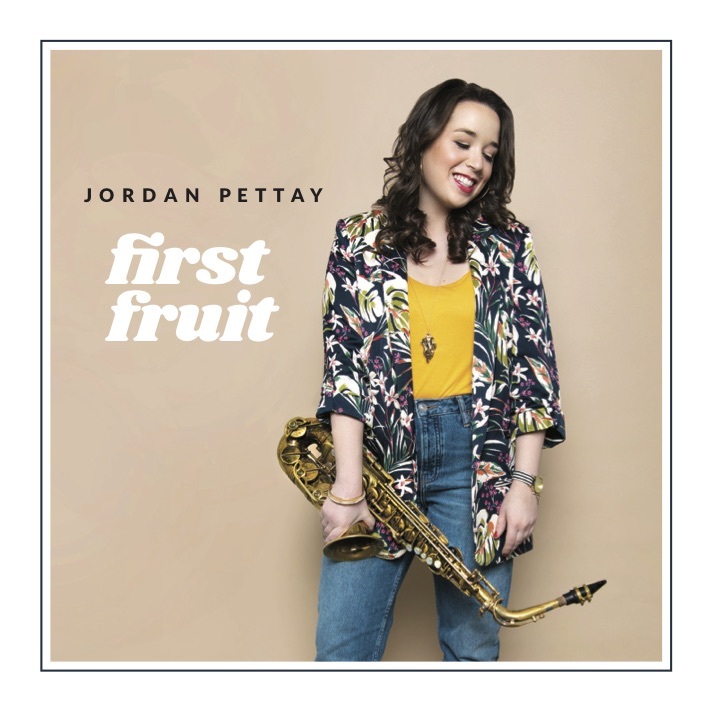 With just three original tracks (including the title track from the album, which did not make much of my head), Jordan Pettay makes a safe debut in “First Fruit” and encourages us to new copyright possibilities in his upcoming work. Her sound has attracted interest from music giants such as Herbie Hancock, Christian McBride and Wynton Marsallis. Residing in Harlem, a historic neighborhood of New York music, since 2014, Jordan has everything to become a great jazz star, not forgetting her religious roots, which add a wonderful seasoning to her sound. ← TOUR: JUNO-Winning Pianist Andy Milne Kicks off Spring Tour!